Parenthood is a journey like no other. Creating a tiny human is amazing and, naturally, you fall more in love daily watching your little precious baby grow. And grow they do. Blink and your baby becomes a toddler. One minute they’re snuggled in the tiniest of outfits. The next they’re outgrowing their size ones, and that’s just the start. Here are 9 other signs your baby is a baby no more. Once your baby becomes mobile, a whole new world opens up to them. A world of exploration, excitement and often, danger! This world gets even bigger once they find their feet. Walking quickly progresses to running, and it becomes a regular game of cat and mouse trying to catch them to head out the door. Long gone are the days when you put them down and they didn’t move! Cuddling your baby skin to skin for hours on end seems a far flung memory now that your little one is not so little. Cuddles tend to be briefer and are often associated more with comfort for an injury, reassurance in a new environment and tiredness. Naturally, wiggling and trying to escape are often par for the course. Once your little one has learnt to walk, they want to practise A LOT! The stroller becomes the arch enemy, and their preference is to be alongside you, wherever that may be. Walking anywhere can take three times longer than normal as you stop to study every ant, leaf and pebble en route. Puddles and piles of mud also become particularly inviting. When little people start communicating with words and actions, it’s a sign that shows they’re rapidly leaving babyhood behind. They’re able to communicate without the need for crying and quickly develop their own alien language. As a parent you start to know more readily what they want and need, whilst also becoming a translator for everyone around. As your baby morphs into a toddler, so does their inability to keep clean. Pristine outfits are no more, and their attraction to dirt and filth is amazing. In order to try to keep some of their clothes looking fresh, you invest in a multitude of stain removers. However, despite numerous washes, products and scrubbing, you can never fully remove all of that muck. Once your little one starts moving around the house, there’s nothing that will remain untouched (unless it’s on a really high shelf!). Your toddler will unconsciously highlight all the dangers within your home, and, subsequently, every drawer, cupboard and plug will be baby proofed. Add a few safety gates too and you’ll be set for hurdling championships. 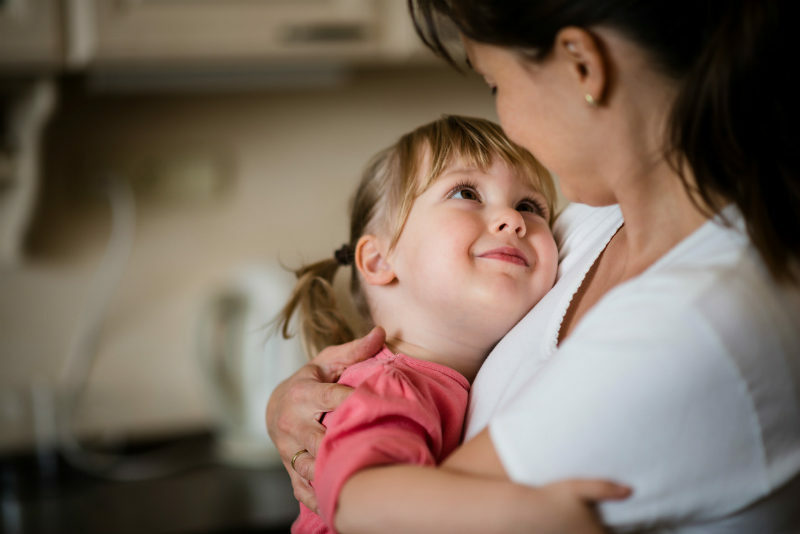 Unlike babies who are content to be cuddled all day, toddlers want activity and lots of it. Days are spent hopping from one park to another, meeting other parents for play dates and keeping alert with copious amounts of coffee. Long gone are the days when you could catch up on TV and even take a quick nap – now it’s all about the go, go, go. Just when you think your toddler is unable to make any more mess, it’s time for their bath. Relaxation and gentle washing is replaced with a mix of noise and splashing, with the aim of soaking everything in sight. No surface, floor or wall is safe and by the time you get them out the bath you’ll need at least three towels to dry everything off. With walking and running come falls, bumps and scrapes. Unlike the days of pristine baby skin, your toddler will spend most of the time covered in injuries in the form of bruises, scratches and scuffed knees. It’s all part of growing up, but the pain is sometimes harder for mum and dad to bear!